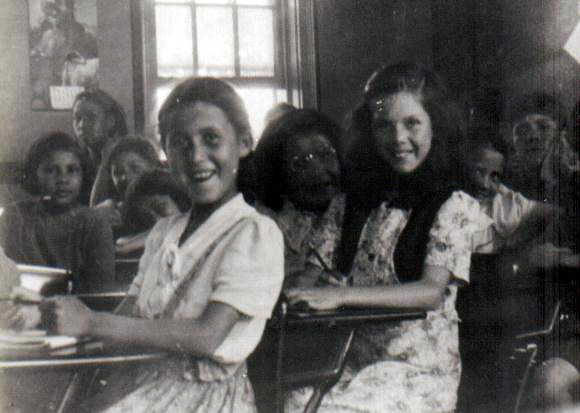 Elsie's class ..On the left my sister Violet, slightly behind Marie Howe, with Joan Paul and Margaret Sack and others looking on in the background. I don’t know the exact date, probably 1940. The old school at Indian Brook.